Edit: it seems this intro was made by Bonzai members, Walt and Kwon + Tecon, which would explain it. The logo seems to be inspired by the demo "Cockcrusher" by Bonzai. 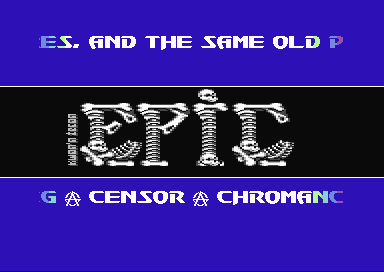 There's a part with a large M/C scroller, the "E" is identical.